DAVID LE/Staff photo. 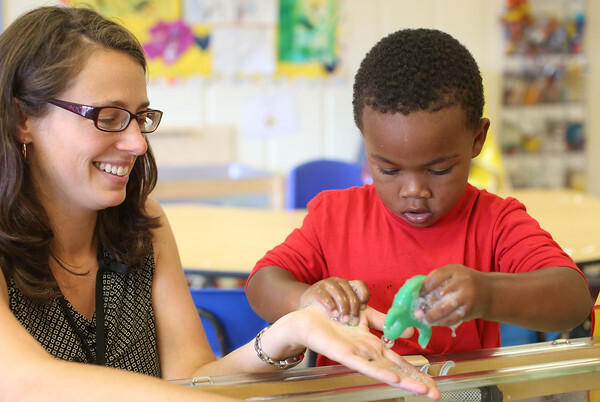 Three-year-old Emmanuel Benitez plays with some soapy water with social worker Sarah McLanahan, at the Pathways for Children summer program on Monday morning. 8/24/15.